Our in-house courses involve us agreeing course content with you then sending a trainer to work with a group of your staff. These courses can be conducted on your premises or at third party venues, as suits you and your budget best. From the left-hand menu you can view the main headings for courses we offer in-house. Click on each for more detail – but if you don’t see exactly what you need, contact us. 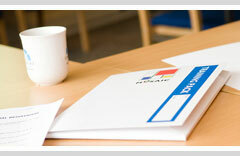 We’ll discuss how we can put together a course to meet your exact requirements. Please see our prices here. But what if you just want one or two members of staff to be trained at a particular time? Our open-programme courses are currently offered in Birmingham and London. The topics they cover have been carefully selected to give staff attending a solid grounding in almost all aspect of social care and supported housing work. Please click on the menu on the left for more information.